What do you do when you’ve been traveling constantly for almost five months, you’re hopelessly behind on the BBA Challenge, and you awake to a winter wonderland? Why, you bake bread, of course. Peter Reinhart’s French Bread, from the Bread Baker’s Apprentice. As a reminder, the Bread Baker’s Apprentice Group (BBA) is baking its way through The Bread Baker’s Apprentice: Mastering the Art of Extraordinary Bread . Yes, in a moment of insanity, I signed up for an EMT course. To take in my spare time. Bwa – ha – ha! 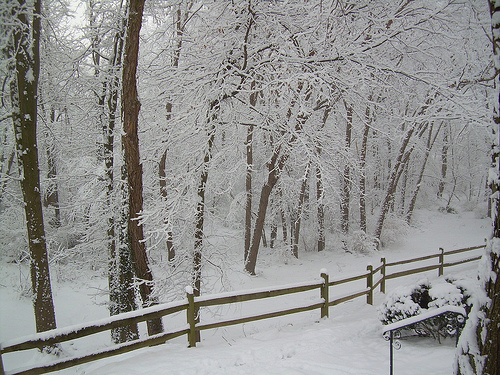 Ooooh, look at all that snow!! 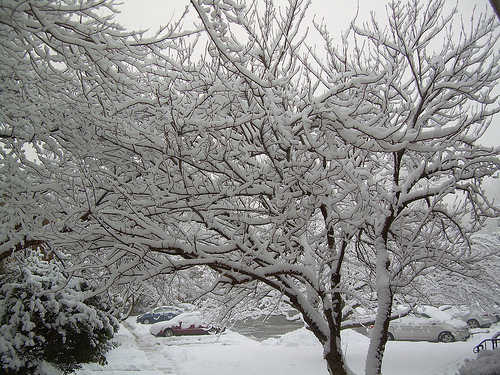 I’m so jealous – I love snow and we haven’t had a good storm in a while. Great job on the bread – it looks terrific to me. That bread looks good to me. You can come make me french bread anytime!! That is such a gorgeous winter wonderland! 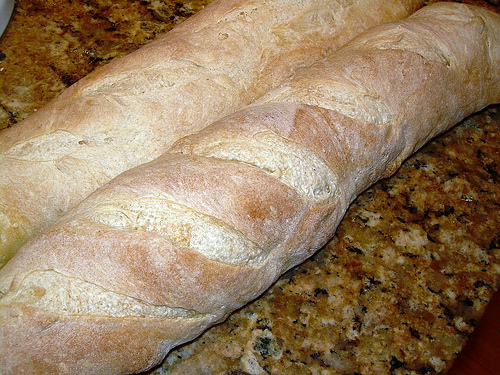 I haven’t tried my hand at French bread yet, but I think yours looks great. Nice job with the bread (and I can’t believe you have taken on an EMT course! Good for you. ).